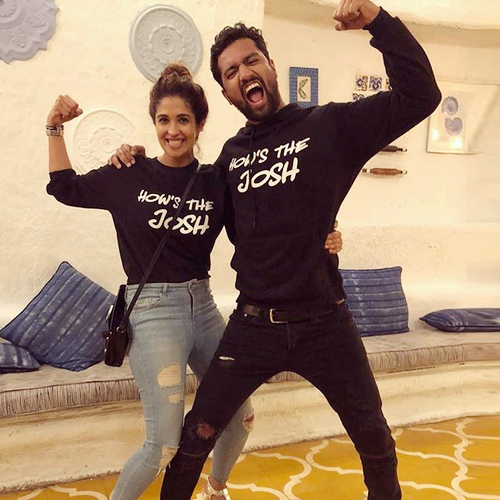 Bollywood actor Vicky Kaushal and his rumored girlfriend Harleen Sethi have reportedly broken up The rumor of their break-up surfaced soon after Harleen unfollowed Vicky on the photo-sharing app Instagram. However, Vicky continues to follow her on the app. Just a few days ago, Vicky admitted being a steady relationship with Harleen. "We happened to meet through common friends. It felt right from the very beginning. We never questioned it. The beginning isn't too far off. It only started last year. It was beautiful to get to know each other," he had said on a show.